Happy Heart Month! February is American Heart Month, a month dedicated to raising awareness about heart disease in the United States. As a Registered Dietitian it’s important to bring awareness about heart disease and how to prevent it. The good news is that nutrition can play a significant role in the health of your heart! Heart disease refers to several types of conditions that affect the heart. The most common type of heart disease is coronary artery disease, which occurs when plaque builds up in the arteries therefore reducing the amount of oxygen and blood to your heart. A block in the flow of blood to the heart can cause a heart attack. Other conditions that affect the heart include angina (chest pain), atherosclerosis, and peripheral artery disease (1). Did you know that heart disease is the leading cause of deaths in the United States contributing to 1 in 4 deaths? There are several risk factors for heart disease, some of which are lifestyle related. Risk factors include cigarette smoking, physical inactivity, unhealthy eating patterns, heavy drinking, too much stress, chronic inflammation, uncontrolled diabetes, and high blood pressure. There is a lot of research to support that a Mediterranean Diet eating pattern is associated with reduced risk for heart disease (2). Below are some key foods to include in your diet for a healthy heart. Tomatoes are rich in an antioxidant called lycopene, which has been shown to play a role in reducing risk for heart disease (3). A recent meta-analysis revealed that high concentrations of lycopene was associated with a 14% risk reduction for heart disease (4). Cooking tomatoes increases the lycopene concentration such as those found in canned tomatoes, pizza sauce or ketchup. Add cooked tomatoes to pastas, stews, soups, or pizza. Walnuts provide healthy omega 3 fatty acids, a type of healthy fat that may help reduce inflammation, triglycerides, and blood pressure. Research suggests that consuming walnuts at least one or more times a week is associated with a 21% lower risk of heart disease (5). 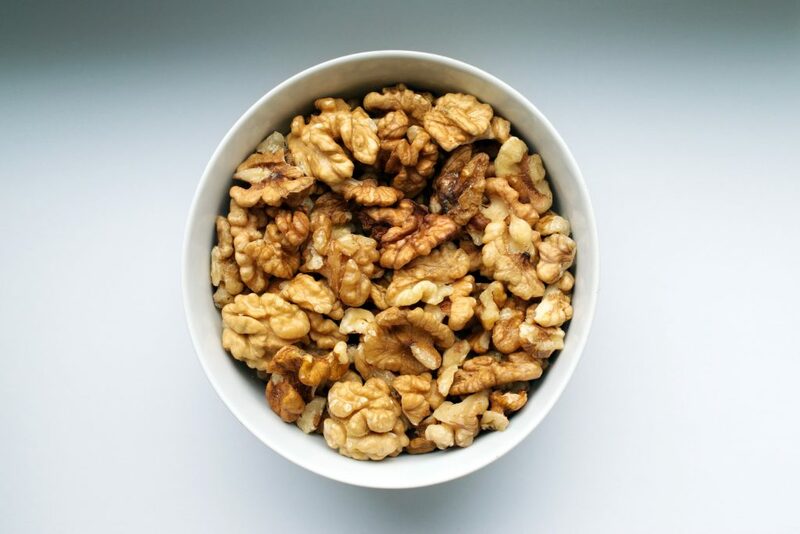 Add walnuts to salads, smoothies, and oatmeal or enjoy as a simple snack. Kale and other green leafy vegetables have been shown to have a protective effect on the heart. A recent meta-analysis revealed that consuming green leafy vegetables reduced incidence of cardiovascular disease by 16% (6). Green leafy vegetables also contain nitrates which help reduce blood pressure and improve the lining of blood vessels. Make a kale salad, add kale to smoothies, or mix into soups. Other green leafy vegetables are spinach, microgreens, collard greens, romaine lettuce and arugula. There is a lot of research on the health benefits of olive oil especially as part of the Mediterranean Diet. Virgin olive oil and extra virgin olive oil contain several antioxidants, polyphenols and vitamin E that help reduce inflammation and oxidative stress in the body. A research study observing individuals in a Mediterranean population at risk for heart disease found that individuals with the highest total olive oil consumption (mean intake of 56 g of total olive oil per day or 3.5 tablespoons) had a 35% risk reduction of heart disease. 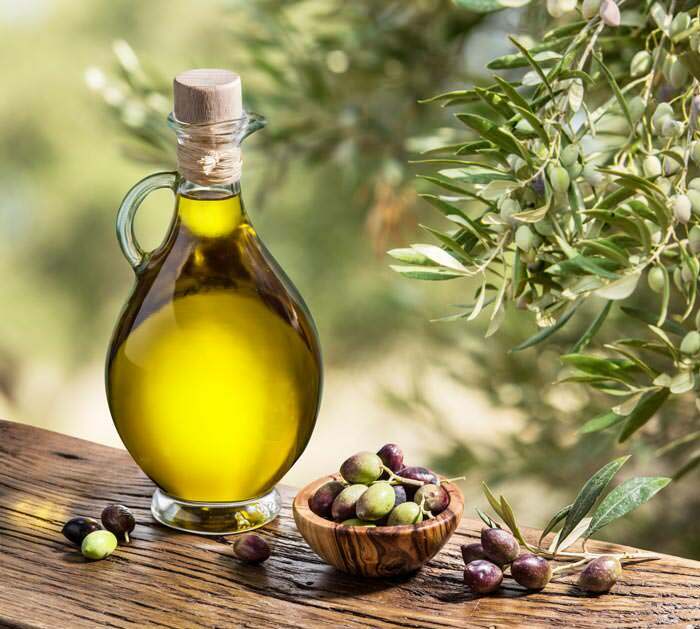 Individuals with the highest total extra virgin olive oil consumption (intake of 34 g of extra virgin olive oil per day or around 2 tablespoons) had a 39% risk reduction of heart disease (7). Olive oil also contains healthy unsaturated fats, specifically monounsaturated fats. Replacing saturated fats, such as those found in butter or coconuts oil, with unsaturated fats has been shown to help reduce your risk for heart disease by 25% (8). This doesn’t mean that you can never have butter again but rather try to incorporate more of the healthy fats. Beans and other legumes are nutrient dense foods providing a great source of fiber, protein, carbohydrates, B vitamins, iron, copper and magnesium. The special type of fiber found in legumes is called soluble fiber, which has been shown to help reduce LDL cholesterol levels and risk for heart disease. 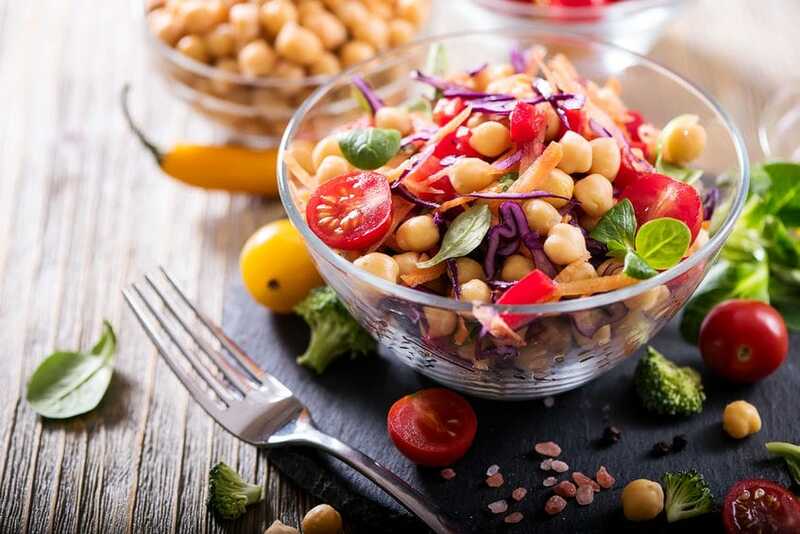 Research suggests that consuming legumes 4 or more times a week compared with less than once a week is associated with a 22% lower risk for heart disease (9). Other legumes include dry peas, chickpeas, lentils, soybeans, fresh peas, and fresh beans. Canned beans can be a convenient way to include more legumes into your diet. Add beans and legumes to tacos, salads, or stews for a wholesome meal. Try this delicious Mediterranean Chickpea Quinoa Salad. Blueberries contains several polyphenols including an antioxidant called anthocyanin, which has been shown to reduce chronic inflammation and buildup of LDL cholesterol levels. 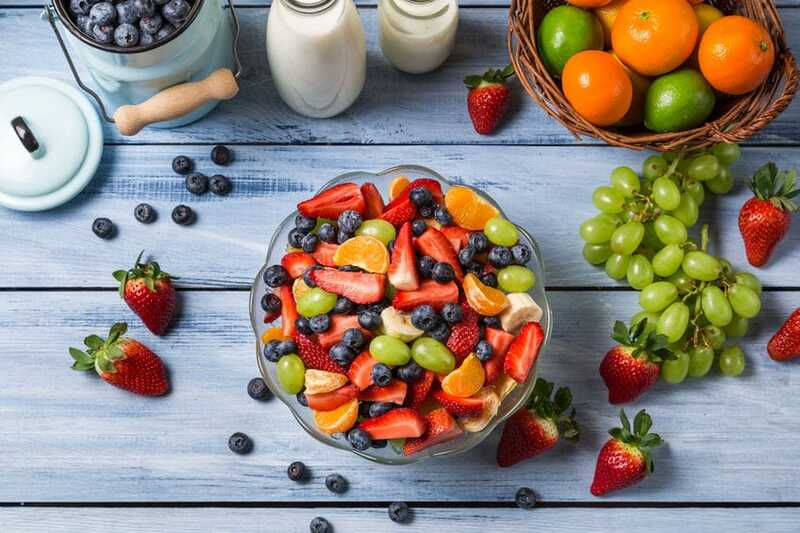 A recent meta analysis on the consumption of berries (cranberries, bilberries, blueberries) found out that berries consumption significantly lowered LDL cholesterol, systolic blood pressure, and fasting glucose (10). Blueberries contain one of the highest levels of antioxidant activity compared with other fruits. They are delicious and easy to include in oatmeal, smoothies and baking. Salmon contains omega 3 fats, specifically EPA and DHA, which are heart healthy fats that help decrease inflammation, reduce triglycerides and lower blood pressure thereby reducing your risk for heart disease (11). If you’re not a huge fan of salmon, there are other types of fish that are high in omega 3 fats. These include trout, mackerel, sardines, and albacore tuna. Aim to include 2 servings of fish in a week or around 6-8 ounces a week to get the recommended dose of 500 mg of omega 3 per day. Salmon is delicious pan-fried or baked with herbs and lemon. 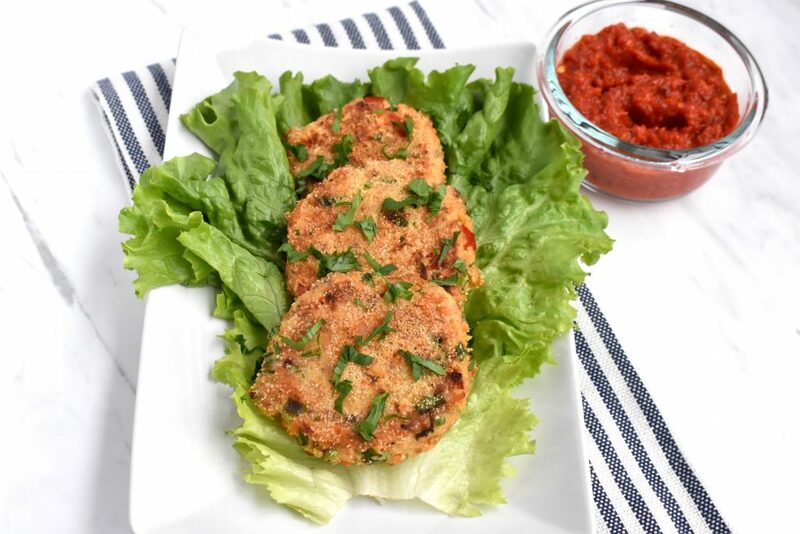 You can also try these salmon patties for a variation on a salmon recipe. Flaxseeds contain one of the highest amount of plant based omega 3 fatty acids called alpha-linolenic acid (ALA) (12). Once again omega 3 fats exhibit anti-inflammatory properties which is important for reducing your risk for heart disease. Another benefit of flaxseeds is that they are a high source of soluble fiber, the type of fiber that helps reduce LDL cholesterol levels. In one study consuming 30 grams (3 tablespoons) of flaxseeds per day decreased total cholesterol by 7% and LDL cholesterol by 10% (13). It is best to ground your flaxseeds in a spice grinder to increase flaxseed’s bioavailability and absorption in the body. Add ground flaxseeds to smoothies, oatmeal, muffins, or soups. Green tea contain polyphenol compounds called catechins, which have been strongly associated with heart health. 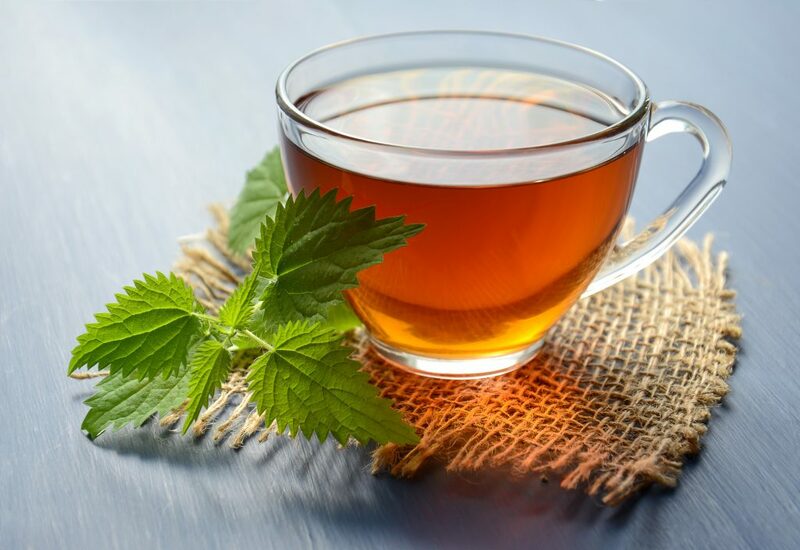 Catechins have anti-oxidant and anti-inflammatory properties and may lower blood cholesterol levels (14). A recent meta-analysis reveals that individuals who drank 1-3 cups of green tea per day had a reduced risk for stroke compared to those who drank less than 1 cup per day (15). Although there is only a small amount of catechins found in hot tea, drinking green tea may still have a positive effect on heart health. However drinking excess amounts of green tea (more than 5 cups/day) may cause kidney and liver damage (16). Turmeric is a root plant used in many Asian cuisines and meals like curries. It has a deep orange-yellow color and has a warm black pepper flavor. Turmeric contains a special compound called curcumin, which has powerful anti-inflammatory and antioxidant properties (17). Foods that reduce inflammation in the body can help lower your risk for many chronic diseases including heart disease. Curcumin is poorly absorbed in the body, however consuming black pepper with it may enhance its absorption. Add turmeric to stews, curries or latte. There is a lot of research on the health effects of eating red meat. Red meat, which usually refers to meat from beef, lamb, and pork, provides a good source of animal based protein, B vitamins, and iron. However, it also contains a high source of saturated fat, the type of fat that increases LDL cholesterol. High levels of LDL cholesterol can cause blockages in arteries, thereby increasing your risk for coronary heart disease. A recent meta-analysis of cohort studies found that higher intakes of total and red meat and processed meat is associated with an increased risk of total, cardiovascular and cancer mortality (18). Keep in mind that this only reveals an association, not a causation. Processed meats, such as bacon and sausage, have a greater effect for heart disease risk compared with red meat; this is likely due to the increased sodium content and nitrates found in processed meat (19, 20). Further research has revealed that people who eat a diet rich in red meat have high levels of a chemical called trimethylamine N-oxide TMAO, which is linked to heart disease (21). Overall, research reveals that eating patterns that include lower intakes of meat and processed meat are associated with reduced risk of heart disease (22). These include the Mediterranean diet which have been shown to have many health benefits, including heart health!